Finding love on a tennis court, a memorable adventure. Boredom during my childhood gifted me with many things. A love for reading and listening to music; daydreaming and being able to sit with my own company. One of the gifts of boredom that I treasure the most is my love for tennis. Growing up, the June school holidays were excruciatingly uneventful. Whereas in December my parents would send me off to visit cousins in Queenstown and we would find adventure in the most mundane activities, over the June period, I was left to find my own entertainment around the house. The television was always a good place to start, and in June Wimbledon was a prominent feature. I can’t imagine that I was drawn to the game from the very first match I watched. My 9 or 10-year-old self would have most likely found the scoring in the game complicated. Then there is the strange and oppressive decorum that the spectators maintain save for brief outbursts of excitement that umpires seem to find a nuisance. Having played duva and black toti which were often filled with high-pitched screeches, laughter and passionate accusations of cheating, the silence that shrouds tennis matches would have most likely been cause for channel-flipping on my end. I learned to overlook all this because, by the time I reached my mid-teens, the game had a very secure hold over me. Never having played beyond one or two lessons in which I recall the school coach stifling a giggle as she watched me miss ball after ball, I started looking forward to the June holidays so I could watch my favorite stars. Stefi Graf dominated the women’s game at the time and I willed her to win against each of her opponents. Argentinian player, Gabriella Sabatini couldn’t match Graf’s superior technique but I often rooted for her too. When Monica Seles was stabbed by a spectator, I followed news about her recovery in international gossip magazines and wished for her to return to the sport. In the men’s game, the likes of Pete Sampras, Andre Agassi, and Boris Becker ruled and I was equally enthralled by the high-powered matches they played. In all the years that I watched the sport, I didn’t know how badly I needed to see people who look like me playing the game until I started following the Williams’ sisters in the early 2000s. Everything about them was an enigma: the force of their serves; their passionate screams when they hit a ball; their hairstyles; their humility in the post-match interviews. I loved seeing their family members in the box amongst a sea of white faces. I stopped following Wimbledon and started following the Williams’ sisters in Wimbledon. Every white tennis star I had followed and loved before receded to the back of my mind’s archives because in the Williams’ sisters I had found myself; in them, I had found a home. Whenever they were done an injustice by an umpire, I shared in their anger and when either of them won, I basked in their glory for days. As a fan of the Williams sisters, there are more sweet days of victory than bad days but the latter stay with you. For years, the two siblings have had to endure racist comments about their bodies from commentators, being booed by the crowds and umpires being harder on them than their fellow players. What is it about the Black body that invites such passionate outrage, I ask as though I don’t already know the answer? Long before the Williams sisters, Black French figure skater, Surya Bonaly faced similar humiliation because her Black body offended; judges often commented that she wasn’t built the right way or thought that she didn’t have the required grace of her chosen sport. Just like Venus and Serena, Bonaly could not fully enjoy the fruits of her labor and superior talent because they were sullied by the racism she faced. Victory is always bittersweet. I too was in tears for a range of reasons I couldn’t quite piece together: I cried for Serena and the endless fighting she has had to do throughout her career and because Noami could not have been possible without the Williams sisters. I cried because it was two Black women playing each other in the final, something I would never have dreamed could be possible growing up. When Williams stood up for Osaka against the crowd’s booing I was broken even more because Williams knows very well what it feels like to inspire the irrational ire of spectators but could still show sisterly love towards her opponent despite her own defeat. When I first encountered the sport on television as a 9 or 10-year-old, I was merely searching for an escape from the ennui of the June holidays. Decades later, it has become a place where I have learned the importance of representation and in which I revel in the beauty of seeing Black women standing up for themselves. 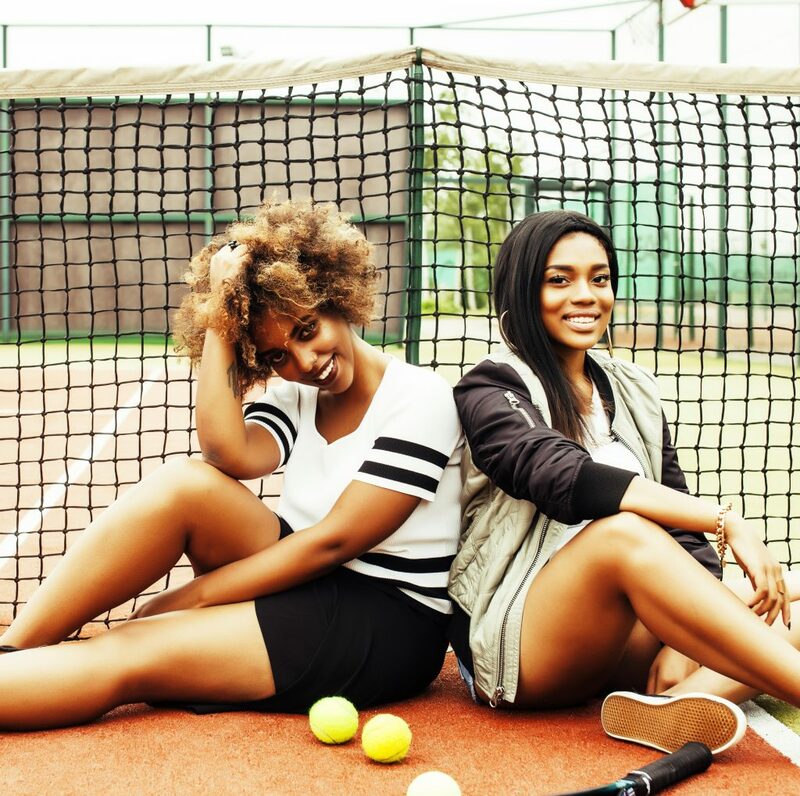 Boredom brought me to tennis but the queendom of Black women in the sport has made me stay.